Since its launch as the All-Japan GT Championship in 1994 (becoming Super GT in 2005), the popular series has gone from strength to strength. Motul has been an invaluable partner in this highly competitive motorsport through its successful technical partnerships with different teams beginning with NISMO in 2003 and expanding to other teams in the years since. This year, up to 45 cars will compete at each of the eight rounds, with the entries being split between two classes: the 600+ horsepower GT500 category and the multi-marque GT300 class. 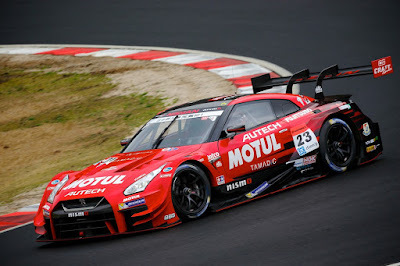 Motul’s involvement has been successful and beneficial both on and off track, notching up no fewer than 7 championship titles in the last 13 years, including 4 consecutive ones with NISMO and Lexus. By working closely with these Japanese manufacturers—NISMO, Lexus, Subaru, and Honda among others—Motul constantly upgrades and improves their lubricant technology available to its teams, and ultimately to consumers worldwide. This 2017, Motul is once again working closely with all the teams to develop engine oils that meet the grueling need of Super GT. Those technologies ultimately benefit Motul’s line of road car engine oils including the 300V Motorsports Line. For more information on this motorsports-developed engine oil, contact Motul Philippines through its exclusive distributor Autoplus Sportzentrium at +632-726-0399 or log on to their website. Motul oils and lubricants are also available in selected dealers, shops, and auto supplies nationwide.